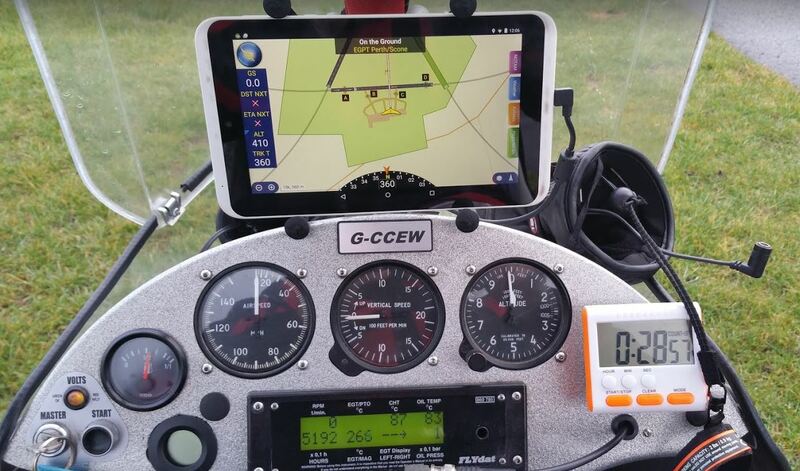 I decided to add a Satnav to my Quik as i started to fly further afield. 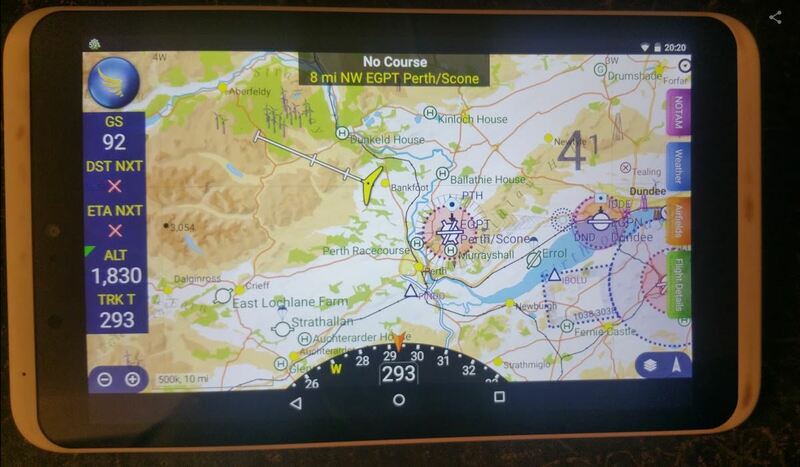 Benefits of a navigation system is not only to find your way there and back, but also to keep you out of the places that you shouldn’t be in 🙂 I had already tried a friends Airbox Clarity, but i personally always found the maps to be too cluttered and confusing in flight. After some investigation, i bought a Tesco Huddl 2 tablet from Ebay (Tesco have stopped making them now) and purchased SkyDemon. 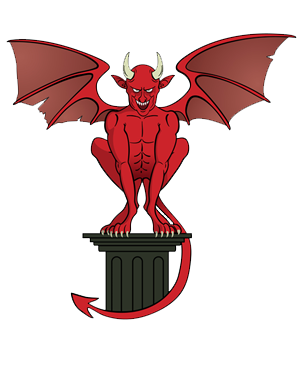 I have found Skydemon to be an amazing bit of software, and to my mind is much more user friendly. Adding this to the Quik required a BMAA Mod (TIL109) This modification needs checked signed off by a BMAA registered inspector and submitted for authorisation. Also and entry in the aircraft log book. To mount the Sat Nav, i bought the Ram Mount type. It was pretty expensive, but i think it was well worth it, as it holds the Tablet very securely, and is easy to adjust or remove. Because the huddl is 8 inches, i found that most sun shields were only 7 inches, so I made my own sun shield cut and glued from a £2 plastic folder. This worked a treat, and i have never had any issues with not being able to see the screen.